Friday, January 3rd was our last full day at RiverBend so besides going to the fish fry, we spent the day getting ready for our departure, doing some cleaning and catching up on our blog posts. On Saturday morning, January 4th, after having another very filling breakfast made by the Breakfast Boys, we said our goodbyes to our new found friends and went back to the coach to get ready to depart. Carrol and Joyce stopped by as Carrol was quite interested in replacing his existing lighting on his Allegro Bus with LED lighting and he had talked to Rob extensively about it. Rob had offered to show him a few items we were experimenting with and some ideas we had planned for our coach. But finally around noon time, it was time to leave. We drove to the staging area where we hitched up the toad and went to the office to drop off the “clicker” (remote control to open the gate which never actually worked) and said goodbye to Joyce (work camper) who gave each of us a big hug. Then it was time to go and we made one last drive through the resort. We did thoroughly enjoy our stay and would have liked to stay longer but there are too many places to explore so we’re not ready to sit still yet for long periods of time. 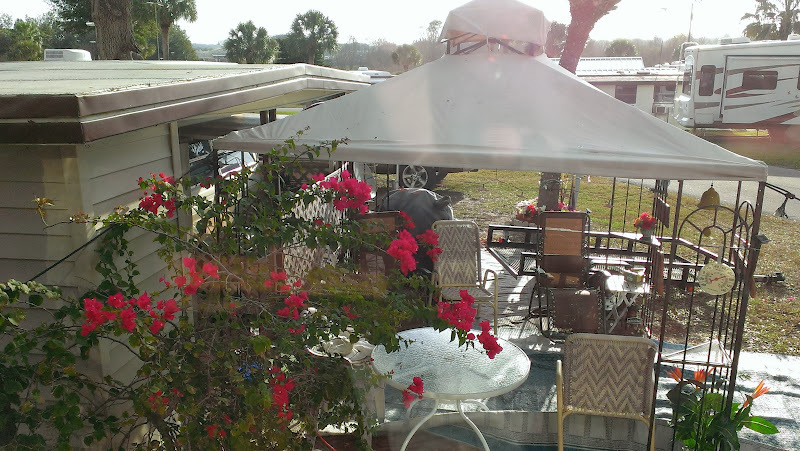 Of the few Class A motor home resorts we have been to thus far, this is probably our favorite, so as we drove away we were a little subdued and already talking about perhaps staying there for the month of December next year. We’ll see. Our destination for Saturday night was Highland Hammock State Park in Sebring, about 1-1/2 hours away and halfway to our next destination near Orlando, so it was supposed to be a short driving day (or so we thought). However, as I’ve said before, the best laid plans don’t often work out the way we want and on this day they certainly didn’t. 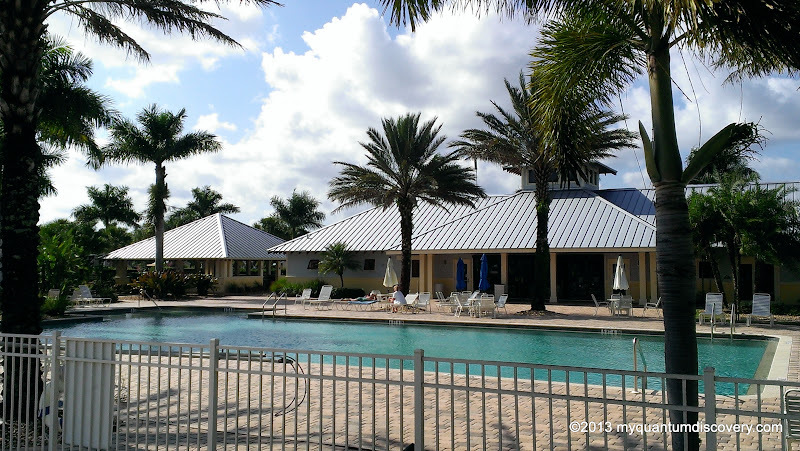 Before we make any reservation, we thoroughly research the campground or resort, reading reviews, etc. 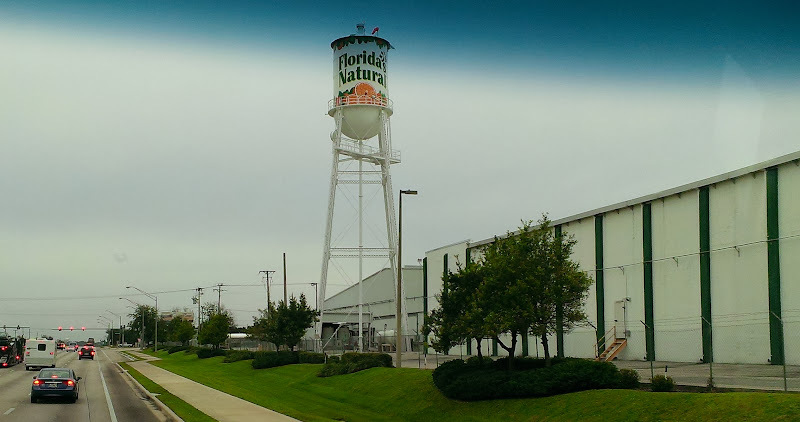 to make sure the place is big rig friendly, has good reviews and is the kind of place we might enjoy. Florida residents 65 and over can get a 50% off senior discount, so the Florida State Parks are mighty attractive since the cost is as low as $10-$12/night at many of them. We followed SR-29 the entire way, mostly a four lane divided highway bordered on each side by rows and rows of orange trees and winding its way through many small towns. Not the fastest drive we’ve ever taken due to all the traffic lights, but very pleasant. 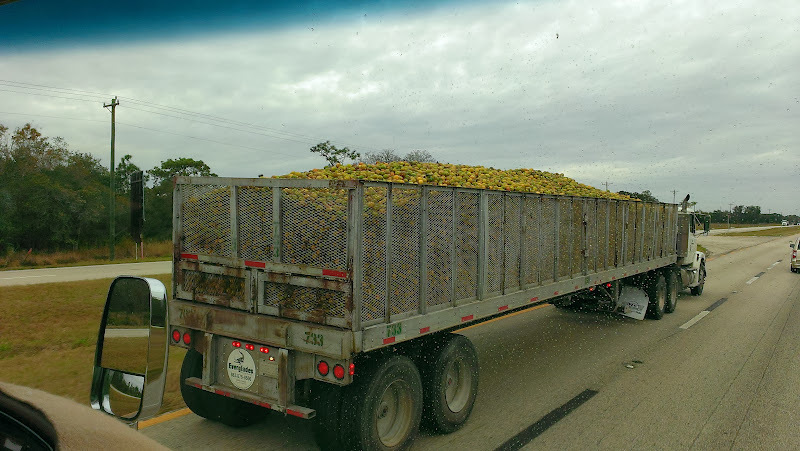 Amazing how many 18 wheelers whizzed by us, topped to the brim with oranges on their way to a local juice processing plant. 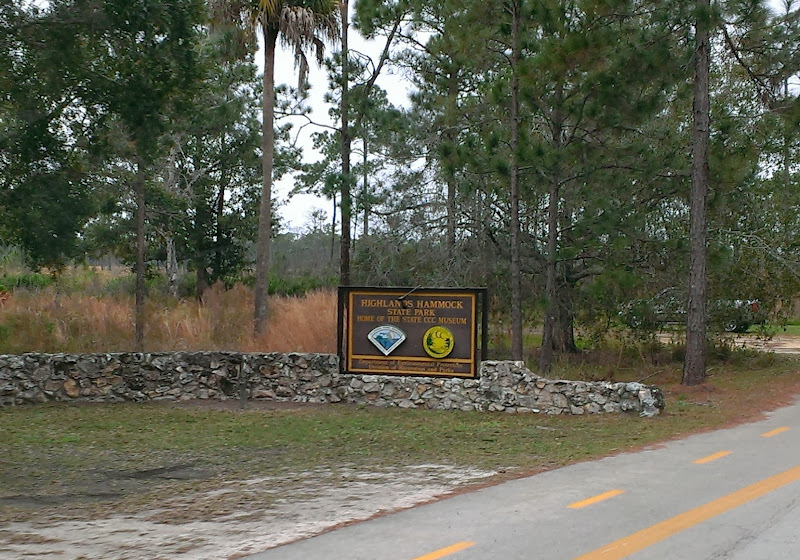 Finally we arrived in Sebring and followed the signs to the state park. When we drove up to the check in station, a young woman told us to pull over to the side and then come in to check in. Before we had a chance to leave the coach, a ranger came over, knocked on the door with our paperwork and said “I need to get you off this road quickly. This is one of the few state parks that has a state road going through it so it’s dangerous to park on the side of the road“. She then went on to say “there are about 5000 rednecks living in the woods around here and they drive down this road drunk so if you want to be sure that they don’t slam into you, you need to move“. Okaaay, whoa! Looking back on it, that was a big red flag! After she told us how to get to our site (#136), we proceeded turning right towards the campground along a narrow and twisty, but paved roadway. Oh dear, a lot of low hanging branches clunking on our roof. Along the way we saw mostly trailers, a few 5th wheelers and tents, didn’t look like any big rigs here! The road seemed to get even narrower as we approached site 136 which was surrounded by tents with all sorts of stuff strewn everywhere, kids playing in the road, etc. (sorry I didn’t think to take pictures). The site was a “pull thru” in theory, but was 90 degrees to the road and surrounded by trees with no room for us to make the turn so unhitching was a necessity. It would have been easier to go around and back down into the site, but either way it would have taken a lot of maneuvering, so after a quick discussion we decided that we didn’t want to stay. Looking at the map it was difficult to figure out the best approach to exit the park but we finally did. Quite a let down after being at RiverBend. We only forfeited $11 and consider it a donation to the Florida parks system. So while Rob was driving, I spent the next hour or so huddled over my phone and my Nexus tablet using RVParky and Google Maps trying to figure out where we could go. I called a couple of places but nothing was available, most likely because it was a Saturday night. As time went by, we thought we might end up in a WalMart parking lot for the night which would have been fine but no suitable lots had yet presented themselves. 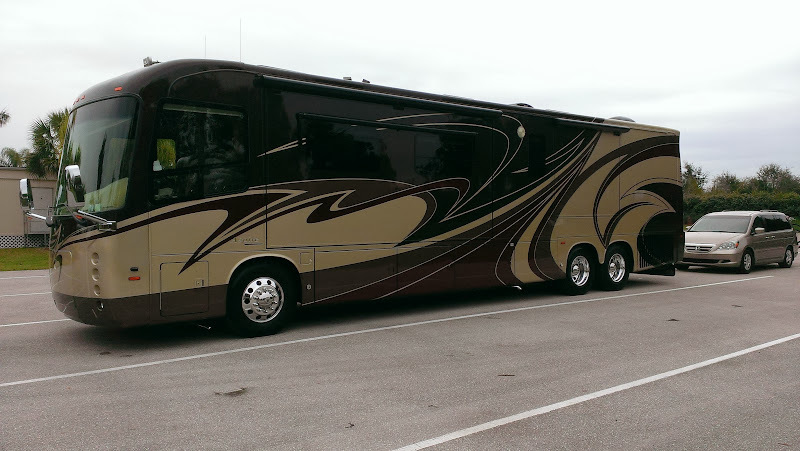 We have also found that here in Florida many parking lots have a lot of little islands making it difficult to maneuver our 42′ behemoth. We did finally pull into a Walmart just so we could stop and figure out what to do next. Bad move! As we drove down a pretty narrow access road which was lined with trees, Rob had to pull over to the right because of an oncoming car. We cringed as we heard the branches brushing against the passenger side of the coach. Oh no, not scratches on our new beautiful, shiny coach! After we parked, we got out to look, sure enough the entire side had scratches all along that side but Rob reassuringly said that they were probably just surface scratches and would easily polish out. Not our day! Well, it was getting late, already 3:30 pm and our 1-1/2 hour drive had now turned into a 3-1/2 hour drive and we were getting tired and hungry. 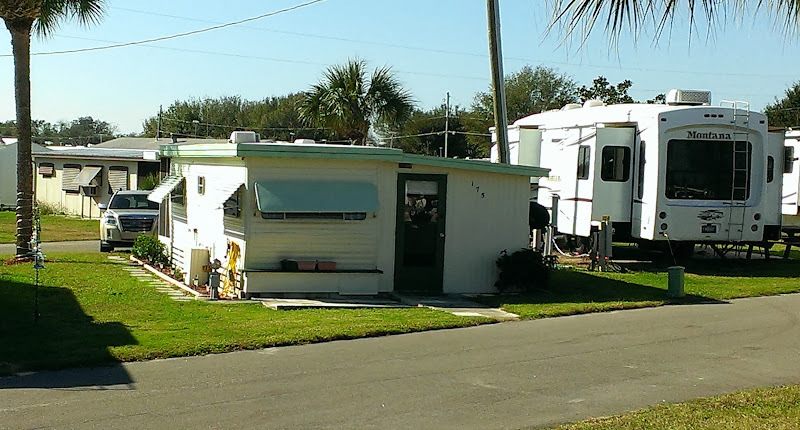 Finally I called Central Park RV in Haines City about 10 miles away. When I told the person, Dave, how big we were, he hesitated and said that he had something available but we had to be there before 5 pm because they close at 5 and he would have to explain everything to us when we got there. Huh? What did that mean? After I hung up and repeated the conversation to Rob, I wasn’t sure if he had a site for us or not. 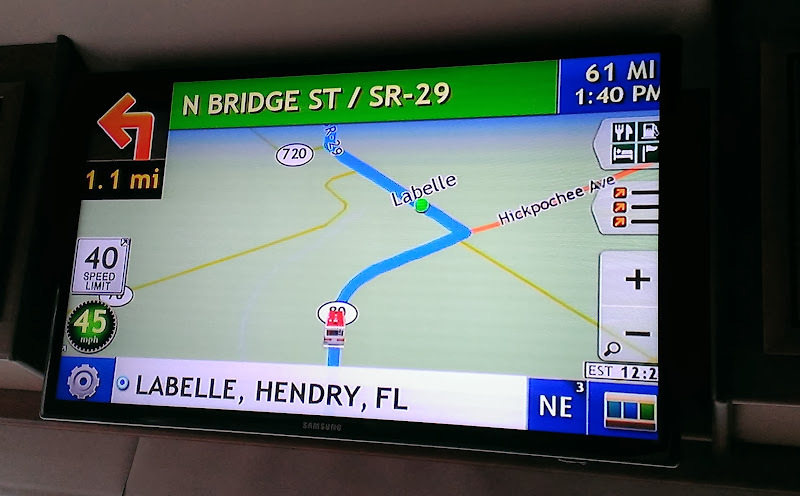 So it was with a little trepidation, we followed the GPS route, taking a left off the main drag onto Commerce Ave in Haines City. Mrs. Rand Mcnally and Mrs. Google both said our destination was on the left in 1000 feet but as we approached there weren’t any signs for Central Park, just a sign that said “no outlet” and another one that said “no trucks beyond this point”. Oops? Based on that, Rob stopped, not sure what to do – it was hard to tell how far the road went and if we would be able to turn around somewhere. Finally we figured we would proceed, if we had to unhitch the van to turn around, so be it. As we crept nervously down the street, finally I saw a somewhat hidden sign on the left hand side with red and white lettering which I recognized from their website. Phew, Mrs. Rand Mcnally and Mrs. Google did know what they were talking about! But the story isn’t over yet. We went in the office to check in and met Dave who was very nice and very helpful. It turned out that he had 4 sites available but he wanted to take us in his golf cart to show them to us. He made the comment that we were probably the biggest coach to ever get into this park – uh oh! that’s not what we wanted to hear! But anyway, off we went to check out the sites. The first one he showed us was pull-thru site #160. Apparently not just one, but the last two tenants had hit the ill positioned water supply hookup on their approach into the site. Dave made it clear that he had to dig up the site to repair it – in the rain no less, twice – and didn’t want to do it again. The grass and gravel site was reasonably level but had a cement pad that sat about a 14″ above the ground, which would require some careful maneuvering. Without going into a lot of detail the other sites were pretty unacceptable – one had some odd raised areas coupled with some ruts and a steep slope so we would almost certainly bottom out when we left and it would be hard getting the coach level, another had a big pile of new gravel in an attempt to level it and raise it up to the height of the concrete pad, but it would have been too short for our coach so again leveling would have been a problem. Anyway, we finally decided on the first site (#160) as the best of the bunch – we would be parked next to a rather run down trailer with a lot of stuff surrounding it but at this point we didn’t care. Although it was a pull through, and Rob was sure he could make the swing, Dave suggested (well, actually insisted) that we back-in and boy was he nervous about someone driving into the utilities again. It was actually an easy back in but it took a few tries to get our rig exactly where it needed to be due to that high pad. The utilities all stayed intact much to Dave’s joy (he came out to check on us several times) and we were able to open the entrance door and at least partially open the cargo bays without slamming into the raised cement slab. No complaints – the people seemed friendly and it was pretty quiet there. 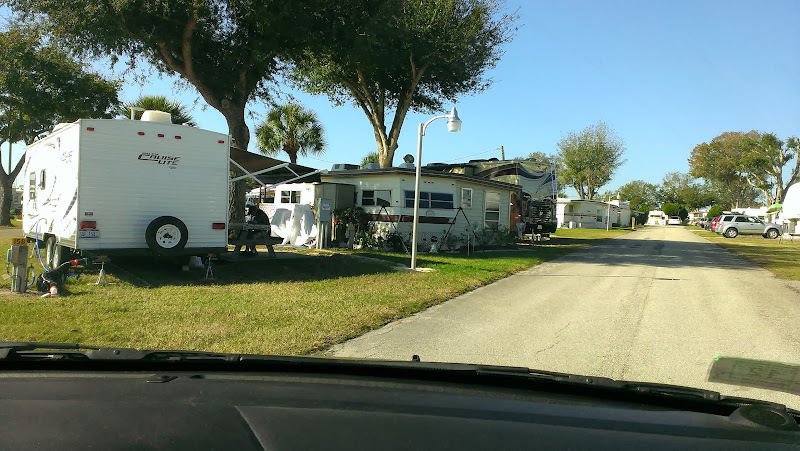 Overall, it’s hard to describe the park – it was a mixture of small manufactured homes, trailers and I guess what could be described as older park models (photo left) among a smattering of RV sites. On Sunday morning we went out to breakfast and drove around the park. We were surprised at how big it was and that it otherwise seemed pretty well maintained. Needless to say, we had a very quiet ending to our rather strange travel day! Stay tuned to find out about our next destination. What a harrowing day! Glad it ended up working out okay. Hope you had better luck at the next State Park. We’ve had that same warning about several central FL locales over the past several years.